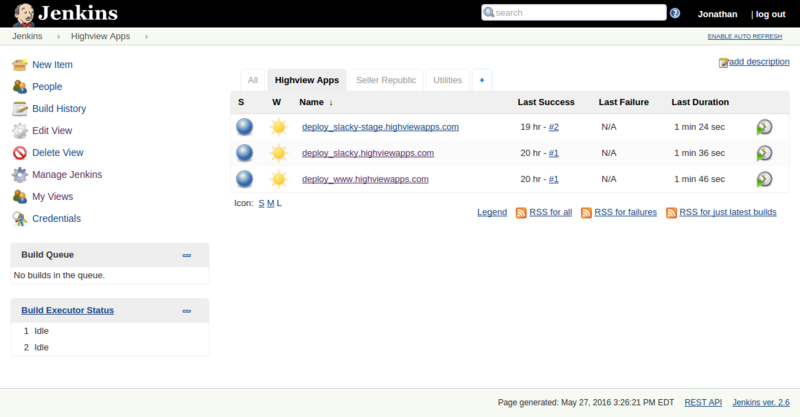 I was chatting with a friend of mine the other day about new Shopify apps to build with Django. We decided it's finally time to start using Python 3. 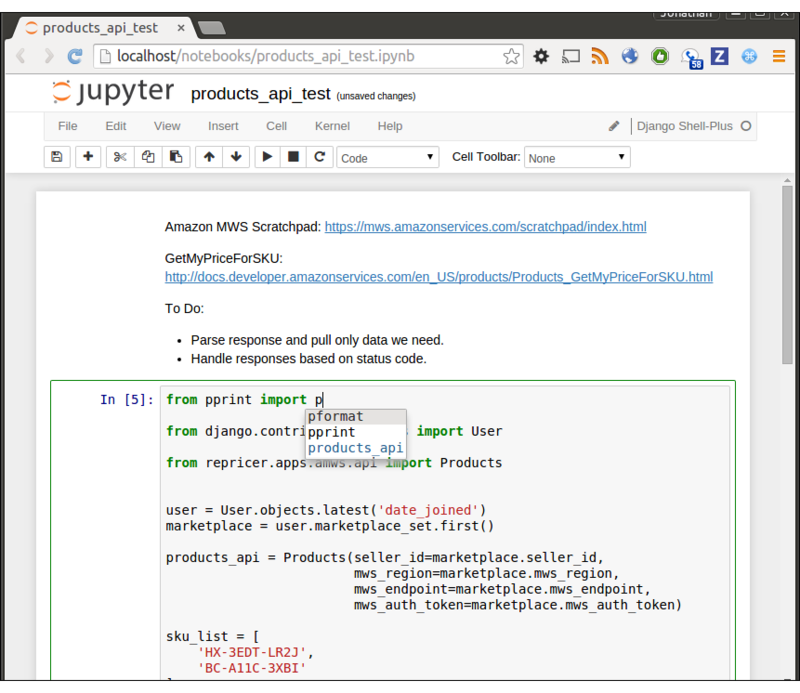 If you haven't tried the IPython Notebook yet, you're missing out on a very neat tool. I just started using it a few days ago myself and I regret not having used it much sooner. Back in the early days of Docker Compose, when it was still called Fig, you couldn't use ipdb with it to do interactive debugging because the container's service ports weren't exposed when using the run command. This has been fixed by including a ---service-ports option to the docker-compose run command. Below is a sample usage for one of my Django projects, EZ Price Alerts.